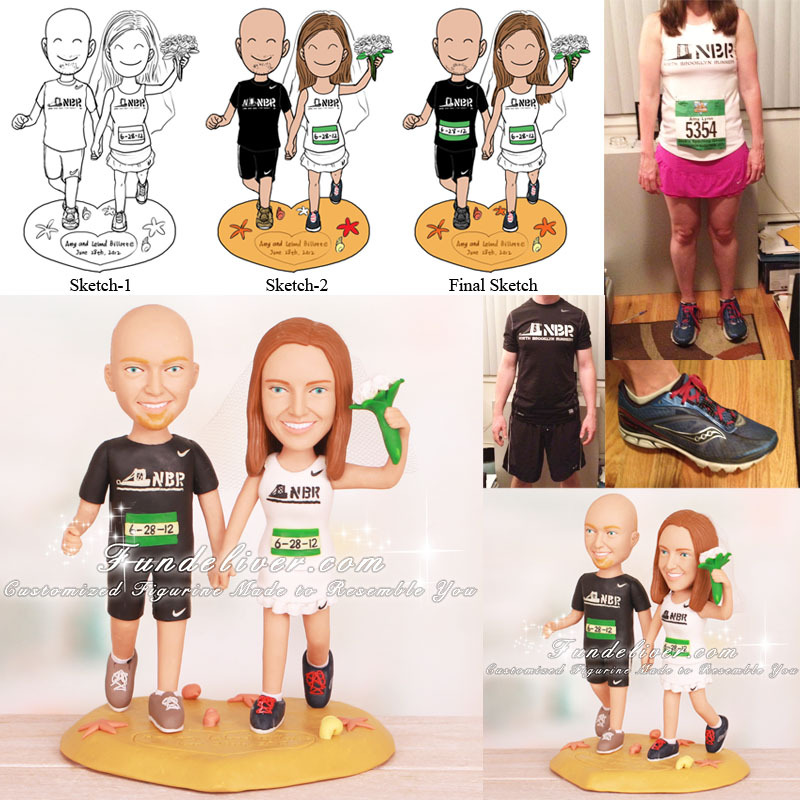 This is a completely customized running on sand runner wedding cake topper ordered by one of our customers. For the bride, they would like her to be in white running tank with “NBR” on the chest, bib number to read “6-28-12”, and skirt color to be white instead of pink in her picture. Also they would like to add a veil on the bride and have her holding a white bouquet of roses. For the groom, they would like him to be in black running shirt, write “NBR” on shirt, bib number to read “6-28-12” and black running shorts. Both figurines have the Nike “swoosh” on the shorts/skirt. 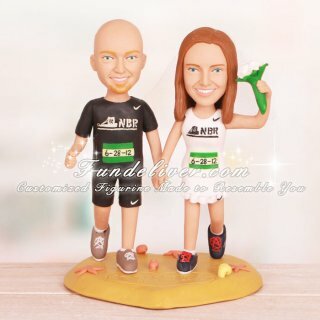 For the base, they would like their figurines to be running on sand with the base of the sand to have “Amy and Leland Billotte, June 28th, 2012”.